Resources > Home Services > How Much Do Garden and Yard Work Services Cost? How Much Do Garden and Yard Work Services Cost? Your garden can a subtle and elegant way of showing off your personality to your neighbors. Yard maintenance costs often vary from $130 to $400 per month. Homeowners spend approximately 5-10 percent of the value of their home on landscaping. When landscaping and gardening are done right, the value of your home can go up by $15,000. Yard and garden work covers a range of services from installation of a new yard to arboriculture. 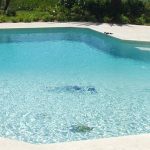 You need to understand the different services and the parameters which affect the final price you might have to pay to have the stunning garden of your dreams. Mulch is made of compost, leaves, and other green waste. It are used for enriching the soil with essential nutrients to promote plant growth. After the ground has been dug for planting flowers and hedges, a layer of mulch should be laid to provide moisture and nutrients for the plants. In some cases, chemicals are mixed with mulch to increase the life of the garden, though organic alternatives are available. You have the choice to either prepare your own mulch or buy some from your local nursery. Homeowners spend an average of $220 on mulch for their gardens each year. The cost for each type of mulch, along with the detailed description of when to use each kind is provided in our Mulch Cost Guide. Hedges are all-natural fences which are easy to create with the help of a professional. On an average, hedge growing and trimming costs are around $40-$75 per hour. A wild hedge indicates very poor maintenance. To avoid this, hedges need to be constantly trimmed and maintained. Depending on the contractor, the cost is measured on a ‘per man hour’ or ‘number of shrubs’ basis. The cost averages between $60-$75 per man hour or $6-$8 per shrub. A further breakdown of costs is provided below. Apart from this, contractors provide haul-off services which can cost you about $25. 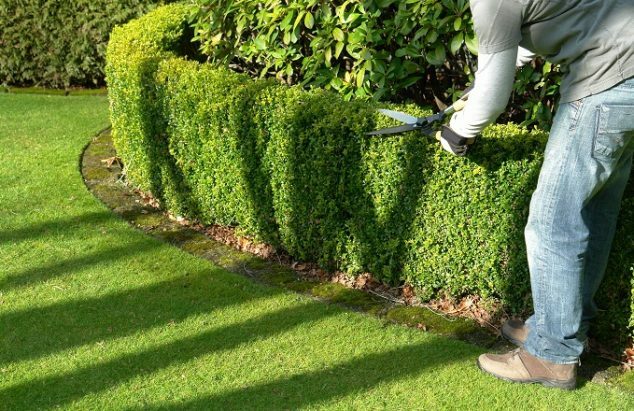 Below are the general steps you, with the help of your professional, will perform for hedge installation. Sketch the line where the hedge is to grow. Buy the bulbs for the hedge plant. For a short hedge, you can choose Indian hawthorn or dwarf oleander which could cost you around $20. For taller hedges, consider Japanese yew or wax myrtle which amounts to about $30. Clear weeds, sods, and other plants along the hedge path. Till a few inches along the line. Fill it with a few inches of compost, manure, and fertilizers. Depending on the width of the bushes, plant the bulbs, leaving plenty of space between each. For most bushes, you’ll want to leave about 4 feet. Lay a couple of inches of mulch around the bulbs. Within a few months, your hedge will be ready. You need to water it at least twice weekly and fertilize it twice annually. Fertilizing could cost you about $40 per application. 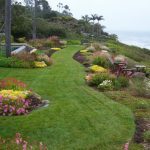 It is always better to have a word with a professional gardener to nail the exact budget numbers and process steps for your yard. The cost estimate for tree removal services can range from $150 for tree inspection to $2000 for complicated tree cutting services. To remove a tree, you need a permit from the regulatory authorities who will do an assessment of the trees to determine if it needs to be cut. Professionals will do a visual and aerial assessment of the tree(s) you want inspected. This service is charged at $150 per hour. At the end of the assessment, they will give you a report on the health of your tree. If you want to cut down a tree, it should undergo a resistograph test by licensed officials. Based on the result of the test, you will be given a permit to cut the tree down. To do this test, a few holes are drilled along the trunk of the tree to find its strength. The density and decay rate are measured to quantify its strength. The cost for doing this test is roughly $200 which includes site inspection and report generation. The drilling is billed separately, though, at about $25 per drilling. Usually, a couple of drillings are considered enough to find the strength of the tree. After you have received the necessary permit, you can go ahead with the removal. If the tree is very tall and has a large diameter, you will need the help of contractors to get it done. 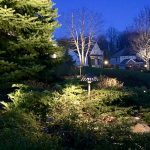 Usually, professionals can assist you with trimming shrubs or trees and tree removals. Weeds are like poison that can kill your lawn, and are aesthetically uninviting as well. It is extremely important to nip the growth of weeds in the bud to maintain the health of your lawn and garden. Weeds consume the essential nutrients and sunlight that your plants require. They absorb moisture in the soil, leaving very little for your grass. Your gardener’s role involves removing weeds for which he/she can charge you around $30 per hour. For an average sized garden, it may take about four to five hours for manual removal. For the entire job, you might be looking at a budget between $120 and $150. You can also purchase chemical weed killers from retail stores for less than $150 and spray it around in your garden wherever you find weed growth. You should be extremely careful with chemical weed killers as it might harm what you are trying to protect. You might also end up burning out a patch of your lawn. So, it is recommended that you get professional help while using chemical weed killers. When using chemical weed killers, you must be mindful about using temperature-specific weed killers. Here is a list of the common weed killers you can use according to the temperature. For more specific costs, visit our Lawn Moving Cost Guide. If you do not keep up with regular fertilization of your lawn, you may risk wasting your hard-earned money and time spent planting. Fertilization is important because it gives plants and hedges the nutrients they need to remain healthy. There’s a diversity of fertilizers on the market – containing a vast range of natural or chemical elements. You can buy fertilizers in containers and do it yourself or pass it onto a gardener who can perform the task thoroughly and even advise on the types of fertilizers best for your yard. Consult our detailed guide for prices to hire professionals to fertilize your lawn. A couple of days before fertilizing your lawn, water it completely. Make sure your lawn is dry before fertilizing it. After applying fertilizer thoroughly, water the lawn. This is important because it washes the fertilizer into the soil instead of letting it stay on the leaves or grass. Gardens can collect a lot of green waste and snow, depending on the season and your geographic location. It is important to constantly clear these wastes for both aesthetic beauty and practicality. The below guides will provide you cost information for professional leaf and snow removal services. Flowers add life and beauty to the exterior of your home. With the variety of flower bulbs readily available for purchase at your local nursery or store, you can get creative with your selection and garden design to express your personality. It might be better to get the help of a professional right from the designing process as their expert opinions on which flowers grow best in different soils and climates can save you thousands of dollars. They can guide you by suggesting the perfect set of flowers for your garden’s soil type. Analyzing the soil type and suggesting the right flowers. Suggesting seasonal and perennial flowers as per your requirements. Actual installation of flower beds. Provide maintenance suggestions depending on the types of flowers you’ve chosen. Professionals can charge you around $1,000 – $3,000 for flower bed installations. Choose the sites in your yard where you want the flowerbeds to go. Clear the sod and dig out around 8-12 inches of soil. Add a few inches of compost and manure. Space the plants according to their growth potential and place them on the beds. If you already have an idea about the kind of flower bed you want, you can go for the much cheaper option of using regular gardeners instead of going for expert designers. They will buy the plants you need and charge you a markup of 25% of the retail price. Additionally, they usually charge $45 per hour for the installation. If you are going to perform the gardening yourself, you’ll only be responsible for the cost of have the flowers, manure, and shovel. The cost of plants generally falls between $6-$100. Shovels are available at home improvement stores between $15-$25. Manure can cost you between $35-$40. You can either opt for seasonal or perennial flowers. Going for seasonal flowers will increase how much you spend per year on purchase and maintenance of your flowerbed. Although most gardening services are simple enough for you to do it yourself, it never hurts to consult with a pro. When you get a professional’s opinion, you can rest assured that common errors will be minimized, leaving your garden with a better chance of thriving. 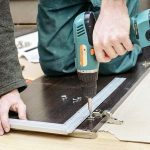 It is true that you will be saving a lot in the form of labor cost if you do it yourself, but that might be at the risk of making mistakes that could cost you down the road. How Much Does it Cost to Install or Assemble Fitness Equipment? How Much Does It Cost to Hire an Errand Running Service? How Much Does It Cost To Move Furniture & Heavy Items In Your Home? 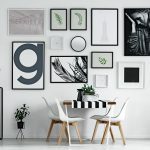 How Much Do Home Packing Services Cost? My mother and I are unable to get in the flower beds and weed the beds. We are also wanting to put down a layer of fabric to prevent weeds from growing next year. We also need some help digging up some “flags” and “day lilies” bed to clean it out some. Consider hiring a professional for help. Use this link to find one in your area. Don’t forget to ask about pricing before hiring. Need someone to work a couple hours to plant 6 to 8 plants. Clean up weeds trim some plants and miner trim small tree.